Home » Forums » Community » General talk » Toyota will revive the AWD GT-Four!! Toyota will revive the AWD GT-Four!! Just announced by Toyota Motor Corporation in NY press release! James Lentz, chief operating officer of Toyota Motor Sales (TMS), U.S.A., Inc.
Good afternoon ladies and gentlemen - and welcome. I would like to open our press conference today by referring to a statement made by our founder more than 70 years ago, which we display in our dealerships across Europe. “I want everybody to put their efforts together and unite in finding a way to make superior quality vehicles.” Kiichiro Toyoda, May 1939 - Founder, Toyota Motor Corporation. As you know, over the last few weeks, we have been going through the most extensive recall campaign in our history. I would also like to take this opportunity to thank all our dealers as well as their technicians and salesmen who have been handling customers' enquiries and repairs with efficiency and dedication; and of course all my colleagues for their efforts, and those institutions and authorities who have been cooperating with us. As you know Toyota has created a heritage of exciting sports models. 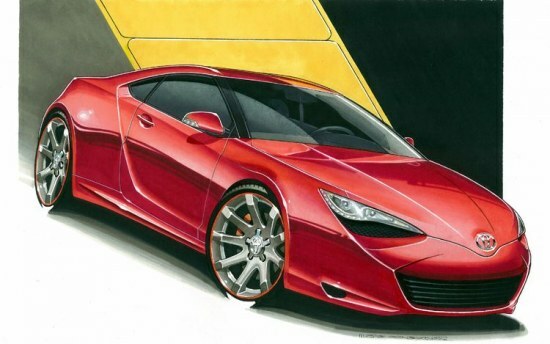 From the Celica to the MR2, and the Supra we look forward to the new FT-86 Concept. Now, with its distinctive front engine and real-wheel drive configuration, the FT-86 Concept is ready to introduce the next generation of Toyota sports cars. It is extremely light, with a low centre of gravity. This delivers an instant, precise response to even the slightest throttle and steering input. Considering the demand from spiritual drivers and to satisfy our loyal customers even more we are working on a four wheel drive option for the FT-86 as it was for the Celica from 1986 to 1998. While the production name is still being reconsidered, the car will wear GT-Four badge in Europe and Japan, as well as All-Trac badge in the USA. The AWD model will be slightly longer with shorter wheelbase and will deliver superior performance and extremely balanced and driver oriented handling. When we introduce the FT-86 Concept models in early 2012, it will bring real joy in the Toyota showroom. I thank you very much for your attention - and please join me at the Scion press conference, which begins in a few minutes, for another two sensational vehicles. This is a disappointing April Fool's joke. I hate you for this.